On September 21st, a ribbon-cutting ceremony took place for a new project that seeks to provide housing for homeless veterans in Vancouver, Wa. Freedom’s Path at Vancouver Apartments provides chronically homeless vets with studio and 1-bedroom apartments, including access to a cyber cafe, a workout room, medical care on the VA campus, employment services and mental health care, all on-site. Fifty units make up Freedom’s Path, providing homes to vets like Air Force Veteran Karl Colbert, who served from 1970-1971. Colbert has been at Freedom’s Path for about 3 weeks and is already establishing himself, recently graduating from the residential treatment program on campus, which is near the college. Paul MacPherson with the Department of Veterans Affairs in Vancouver says Freedom’s Path is part of a unique program in the federal government that provides supportive housing. Cancerous growth may be sudden and hard to predict, but there’s a new program that might help track its development. The program focuses on the cancer to predict developments one stage at a time at the smallest possible scale. Mishra calls these “little blocks of causality.” PiCnIc examines all of these and keeps only the most likely scenarios in order to construct a graphical representation of the likely possible outcomes of a patient’s cancer. From this information, doctors can plan how to best combat the cancer. According to Nicholas Navin, University of Texas professor at the MD Anderson Cancer Center, “[PiCnIc] can incorporate pretty much any cancer type.” So it can map mostly all cancers as long as the data is in place. 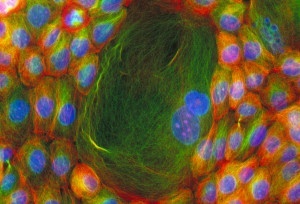 Computational biologist at the University of Edinburgh, Giulio Caravagna—also involved in the project—adds that PiCnIc can also update the maps to accommodate advances in cancer research. There is still a bit more development and fine-tuning to go, but Navin says that PiCnIc is already “clinically useful” at its current stage. 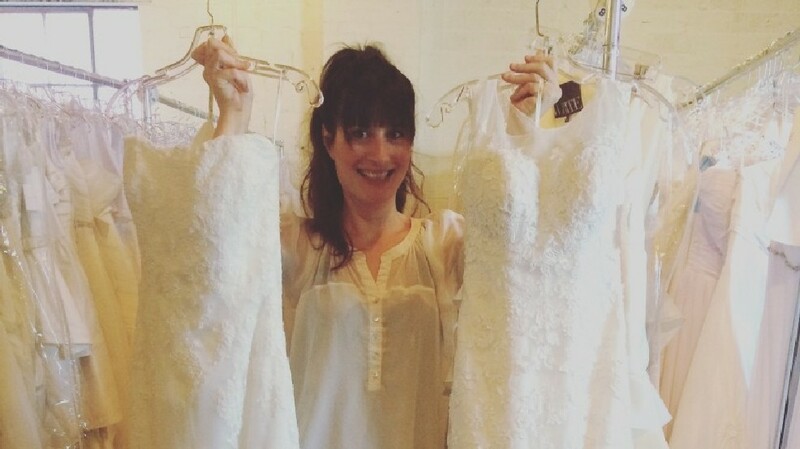 A woman in Southeast Portland has found a way to recycle wedding dresses and support women’s charities at the same time. Erin Scharf is the owner and founder of Brides for a Cause. The nonprofit collects wedding dresses and sells them at a discount to brides who not only get a fair deal, but also the chance to improve the lives of others. Brides for a Cause also supports multiple charities such as the non-profit Wish Upon A Wedding which helps raise money to provide wedding dresses for couples facing a health-crisis or other life-changing events. Since 2012, Scharf and her organization have collected over 5,000 dresses and raised $400,000 for charity. “I started at a non-profit that did something similar, so I just kind of took that idea and ran with it and just tried to improve it and be a non-profit that will support multiple charities, not just one,” said Scharf. Now she’s sharing her love of wedding dresses with women everywhere. The family that helped the U.S. reach the 10,000 mark for Syrian refugees just settled in San Diego this past week. Nadim Fawzi Jouriyeh, his wife, and his four children moved to El Cajon—just outside San Diego—this week. El Cajon is a community that has accepted Iraqi refugees, and more recently, Syrian refugees fleeing the war. The goal to resettle 10,000 refugees a year was reached over a month ahead of time. Most of the refugees have been resettled to either California or Michigan. El Cajon, now an established refugee community, is home to many Arabic-speakers and now even some of the street signs are in Arabic. For Jouriyeh and his family, the transition to America life fills the days with chores such as grocery shopping, setting up bank accounts, and getting new phones. In 2014, the family left Syria for Jordan. This trip, which would take about 2 hours normally, took 3 days in order to successfully avoid arrest or injury. Jouriyeh said 80 people in his convoy were killed. Despite the uncertain life of a refugee, Jouriyeh has only good words to share of his experience in America. “The way they treat people and the people of America are very nice … When you go down the streets, everyone smiles at you. Even if they don’t know you, they just smile at you,” Jouriyeh said. 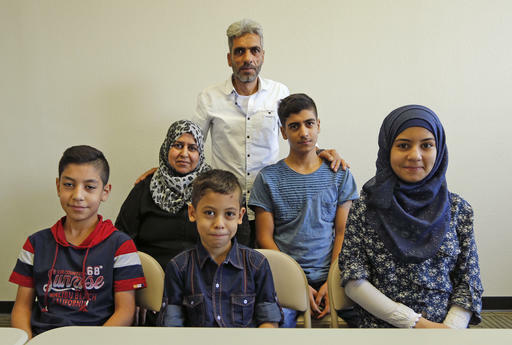 Jouriyeh didn’t say whether his family would ever go back to Syria, but right now his goals are to find a job, housing for his family, and to get his children enrolled in school: “We hope our children succeed in education and be able to have a good future here,” he said. 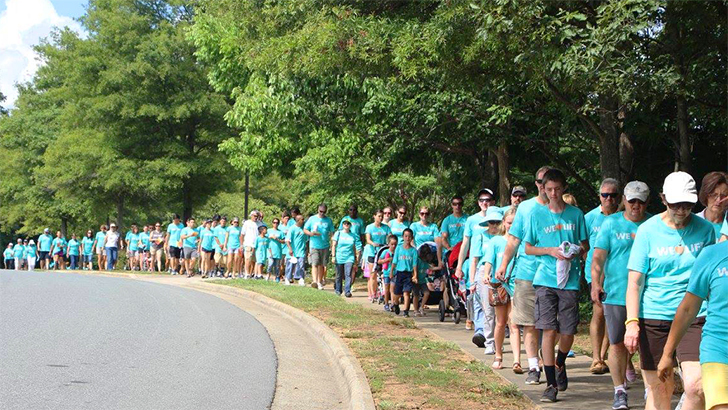 On Saturday, over 1,000 pro-life people gathered in Charlotte, North Carolina for one of the biggest prayer walks in Charlotte’s history. People from over 40 different churches came to the event organized by “Love Life Charlotte,” a local Christian ministry that seeks to unite churches in Charlotte for the pro-life cause. Charlotte Stories covered the event, including an interview from a mother who’s been coming to the abortion clinic to offer women alternatives to abortion for the last three years. Eliana Smith faced an unplanned pregnancy and was on the site with her 9-year-old son Christian, who she says saved her life. Many more like Eliana came to show their support, including one of the original founders of Cities 4 Life, David Benham, who spoke at the rally encouraging pro-life advocates to reach out with compassion and support to women facing unplanned pregnancy. “It’s one thing to be against abortion, but it’s another thing to bring life, to actually bring choices to these mothers that feel like they really have no other choice,” said Benham. To that end, Cities 4 Life provides a variety of resources for women — such as financial support, medical care, and housing — and is constantly adding more, helping Love Life Charlotte get a little closer in their goal of ending the demand for abortion in Charlotte.